New releases of iOS usually mean new releases of iOS jailbreaking software and the same goes for new betas, too. With Apple releasing iOS 5 beta 2 to developers on Friday, we heard that Redsn0w could be used to jailbreak iPhones, iPads and iPod touches on both Windows and Mac. Today we saw an update to Windows jailbreaking tool Sn0wbreeze, bringing the release up to version 2.8 (beta 3) which promises to jailbreak iPod touches, iPhones and iPads – or at least all the ones that usually support jailbreaking. No iPad 2 here folks. Available to download now, Sn0wbreeze brings a tethered (except those few iPhone 3GS users with an old bootrom – you’re untethered) jailbreak to iOS 5 beta 2 in a handy-dandy Windows application. * Intended for developers ONLY! * Does not Hacktivate or add afc2 in this release to prevent piracy. * iPhone 3GS old bootrom users have an untethered boot. Of course, the added bonus of using Sn0wbreeze is it will preserve your iDevice’s baseband, which means you still have the ability to unlock your device in the future, should you so wish. 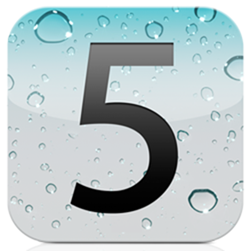 If you’re looking to get your jailbroken iOS 5 lovin’ on then head on over to our Sn0wbreeze guide to get the skinny.